During last month’s drinking spree … oops, I mean research expedition … in San Francisco, I appropriately came across some excellent writing about hangovers. A recent New Yorker article, A few too many: Is there any hope for the hungover?, goes deep into the world of hangover remedies. The two major types are discussed: folk (Russians swear by pickle juice and vodka) and pharmaceutical (preventive pills like RU-21 — get it?). The body of research on hangover cures is thin, notes the writer, Joan Acocella. That’s basically because no upstanding research institution is willing to do what is required to find a treatment for the effects of overconsumption: bankroll a massive study involving a large population of drunken (read: difficult to control) human test subjects who, most people think, deserve to suffer the consequences of their folly anyway. “Which is curious, because anyone who discovered a widely effective hangover cure would make a great deal of money,” notes Acocella. Brilliant. Doesn’t it make you feel better? 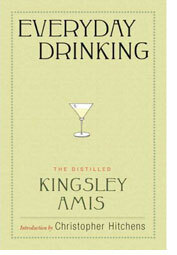 Luckily, Amis wrote three books on drinking — On Drink in 1972, Everyday Drinking in 1983 and How’s Your Glass? 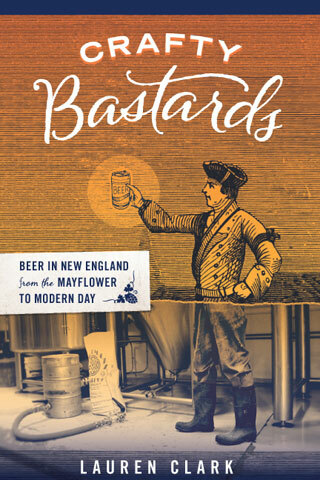 in 1984 — which have recently been gathered together and reissued as a single volume titled Everyday Drinking: The Distilled Kingsley Amis. Maybe a little eloquence on the pleasures and pains of overconsumption is all the cure we need. I think hangover cures are specific to each person. I know some people drink a glass of milk before the go to bed drunk so it coats their stomach. tried that once won’t do it again. Personally I think if you eat a bunch of horrible for you food the night before you will feel much better in the morning. It has always worked for me. Thanks for the rounded view. Hangover cures come in two paradigms: prophylactic and acute treatment. Most alcohol consumers don’t begin drinking with the intention to reach the level at which a hangover occurs. Usually trial and error helps us all learn that limit from wretchedly powerful experience. I totally agree with the quality and blending of alcohols being a big factor in hangover outcomes.. Recently however on a well sourced suggestion i used dehydrated Nopal cactus powder (opuntia ficus-indica) for both hangover prevention and treatment. Wow …amazing….everyone to whom i have passed on this remedy, and has actually tried it was equally impressed. There is even some science behind it, in terms of hydration activity. 1-2 teaspoons in water , juice or whatever liquid you like, does the trick, and works best when taken before drinking begins. I have found it to also be effective, if i can remember just before bed and thankfully the morning after. I can’t imagine it doing much when youâ€™re so hung-over that nothing stays down, which is best served with an IV, per my paramedic friend’s experience. The best deal on Good quality dehydrated Nopal is at http://www.nopalamerica.com.. They ship PRIORITY for free. Wow, thanks Marco! I’ll have to try this. Stir well over ice and strain into cocktail glass. Garnish with flamed orange peel.